What special skills do you have? It’s a question asked on every job application, although let’s be real: most of us never get the chance to actually put those special skills into action. So you can speak in sign language? Build a table from scratch? Sew a wedding dress? Probs not super relevant to your day job. But with WhizzTips, you can finally put those special skills to work — and make a little money while you’re at it. 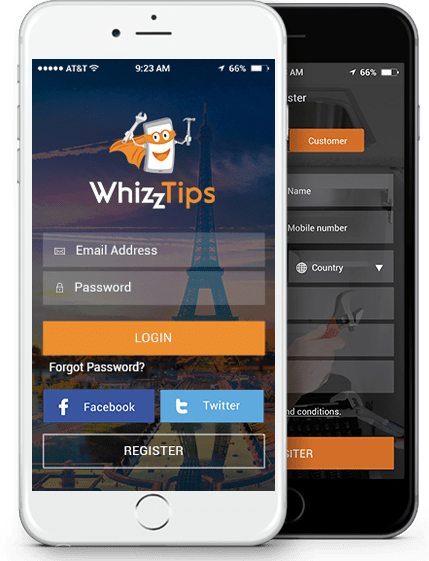 WhizzTips connects people who have certain skills with the people who need someone with those skills, globally and locally. Folks looking for help in a certain area can post a Service Request, which will then be responded to by “Whizzes,” which is what WhizzTips calls the people with the right skills. The user can then choose which Whizz they want to hire, based on information like price, rating, and qualifications. Whizzes also have the opportunity to build up their reputation on the site, with the goal of becoming a “Star Whizz.” That’s accomplished by successfully completing 50 jobs and also having an average 4.0 rating. Additionally, WhizzTips also promotes the Star Whizzes on their social media channels, getting the word out about how great they are! As you can see, there’s a Whizz for every problem on WhizzTips — but there’s definitely room for more Whizzes. Are you a hobby carpenter? Really good at fixing cars? Always seem to end up giving your friends advice about their taxes? Well, why not make a little money with your skills (we all could use the extra dough, right?) and get up on WhizzTips? And, on the other side of the market, next time you need to hire someone for a job you just can’t do yourself, check it out.